But Cambodians are still afraid, says this informative doc. 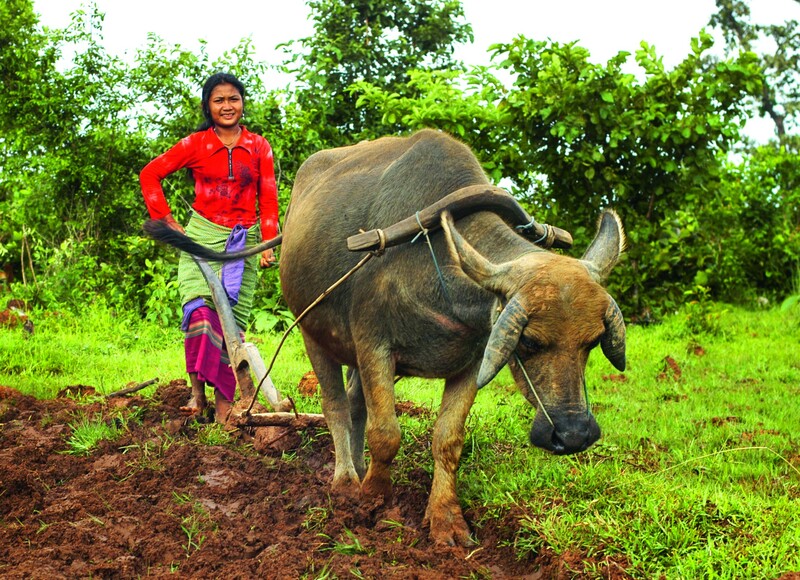 In the countryside, from Angkor Awakens: A Portrait of Cambodia. The Cambodian term baksbat plays a significant part in Robert H. Lieberman’s documentary Angkor Awakens: A Portrait of Cambodia. Its literal meaning is “broken courage,” and the nearest American English equivalent might be “PTSD” – but those don’t exactly explain it. As reflected in the words and faces of Cambodian survivors of the Khmer Rouge interviewed in Lieberman’s compelling doc, baksbat indicates the pervasive fear that at any moment the KR might come back and plunge everyone into the abyss again. For some Cambodians the shock has not yet worn off, more than forty years later. The eternal question is: “How did it happen?” Professor-turned-filmmaker Lieberman, a member of the physics faculty of Cornell University, uses seldom-seen footage to take us where numerous films on the subject — S21: The Khmer Rouge Death Machine; The Missing Picture; First They Killed My Father, etc. — have already dared to tread. We hear from an ex-KR child soldier, the editor of a Cambodian daily newspaper, the director of an NGO, and other ordinary people with strange, faraway expressions. However, it is pointed out that young people who didn’t experience the reign of terror firsthand have little time for history. Cambodia has moved on. That’s the slant of Lieberman’s strikingly well produced profile, a project of Cornell’s international outreach programs, with its first-class library shots and vivid contemporary scene-setting. The main drawback is that it’s a history lesson from an American academic perspective, and as such suffers from an NPR-style view of Southeast Asian politics — the Holocaust connection is particularly strained. At one point, a former KR cadre tries to deflect blame for contemporary Cambodian domestic violence by talking about police shootings in the US under Obama. Meanwhile, Prime Minister Hun Sen appears onscreen and offers platitudes. Be that as it may, the views from the street in Phnom Penh and Siem Reap are surprisingly optimistic. Anything is better than what came before, declare the weary victims of baksbat (“being afraid forever”), who have trouble trusting each other. For them, it becomes difficult to plan ahead. Nevertheless there are youthful pro-democracy demonstrations, and traditional Khmer culture has not been stamped out after all. Time passes. Life goes on.